Yes, I agreed with him. We all love to wear jeans. 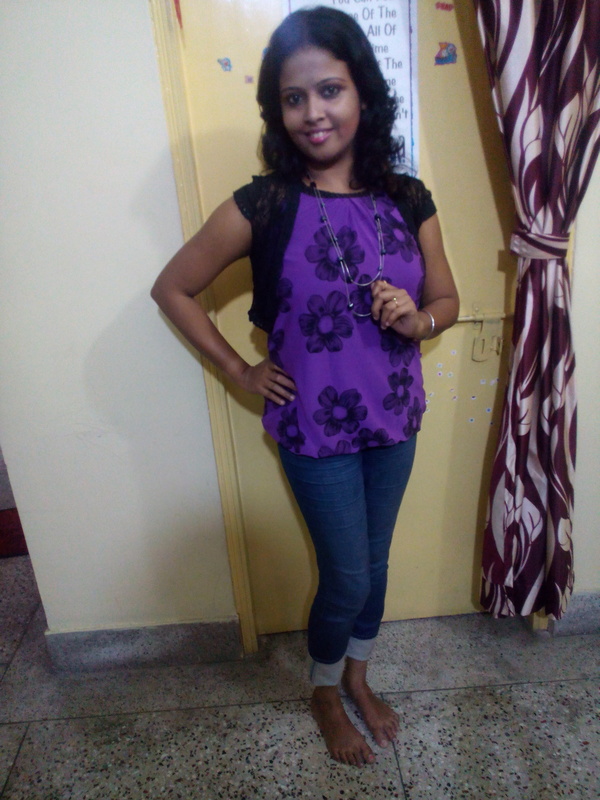 Starting from working women to college-goers, everyone has a deep love for jeans. Even Bollywood divas also flaunt their style wearing blue denim. Sometimes it’s a bit monotonous to wear same jeans again and again. 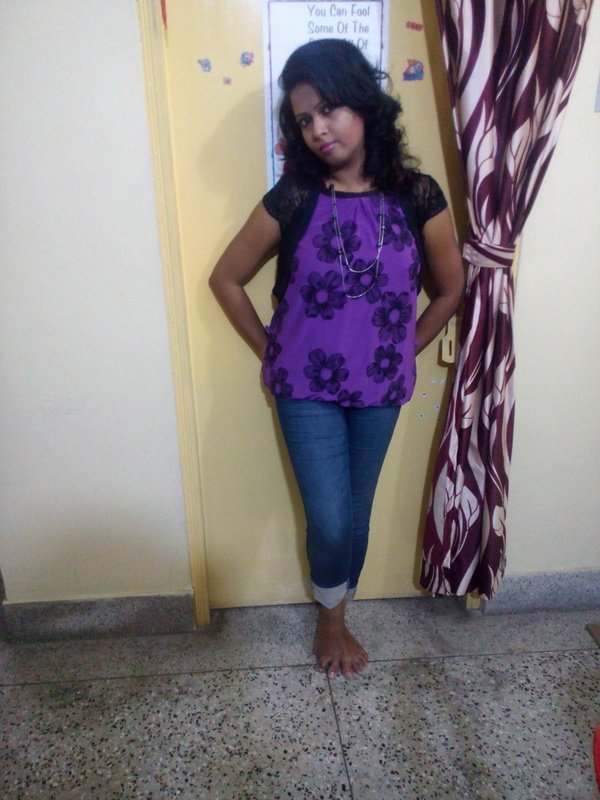 But with some easy tricks you can recreate a new look each time with your same old jeans. 1.The Casual Look: You can pair up your blue denim with a plain top. 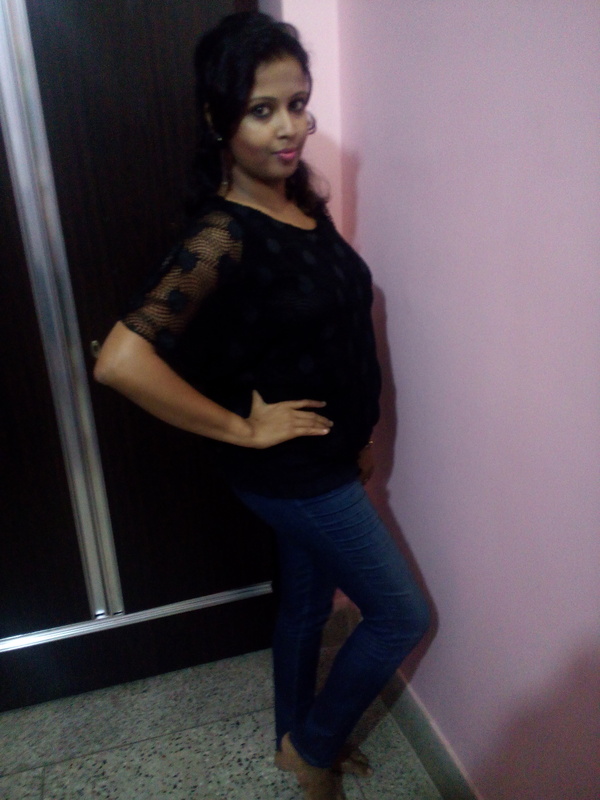 Here I wear the black net top with blue jeans. 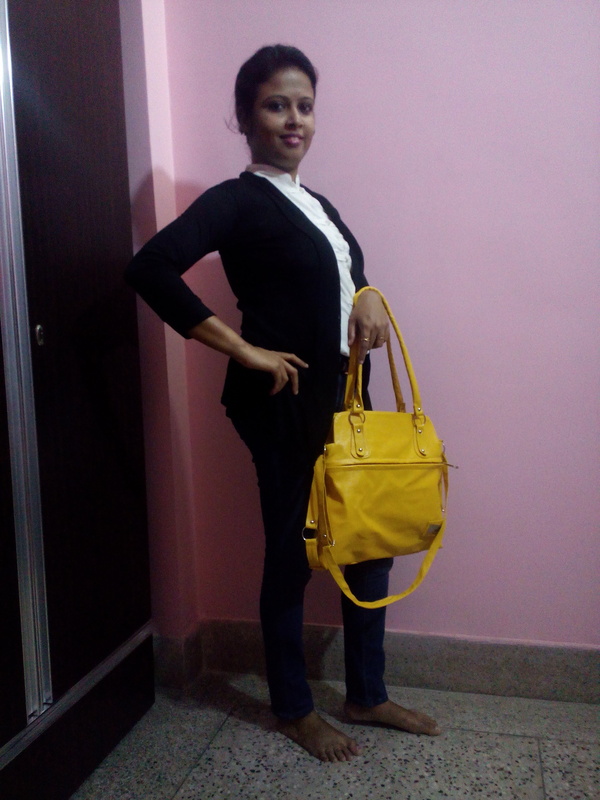 If you are planning for an outing with friends then this look will be the perfect one. 2. The Ethnic Touch: Don’t think jeans is only for western wear. You can easily take a kurta and pair it up with a designer jacket to get a boho look. 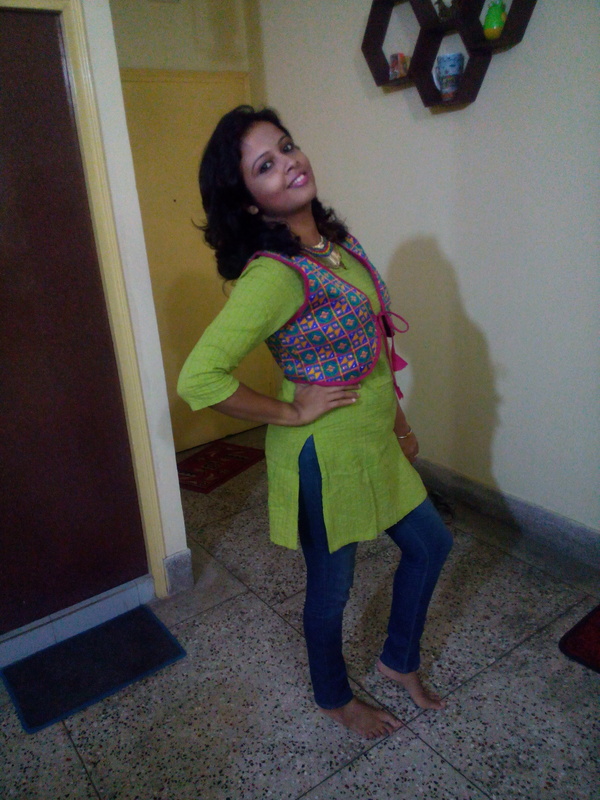 I wear my green kurta with a colorful jacket and lastly add a multi-colored neck piece to complete my look. 3. The Party-Ready Look: If you are planning for a night out party then jeans is always ideal for you. An off shoulder with netted shrug is perfect for the day. Fold your jeans to make a different look. 4. The Corporate Look: Style your jeans with comfort. 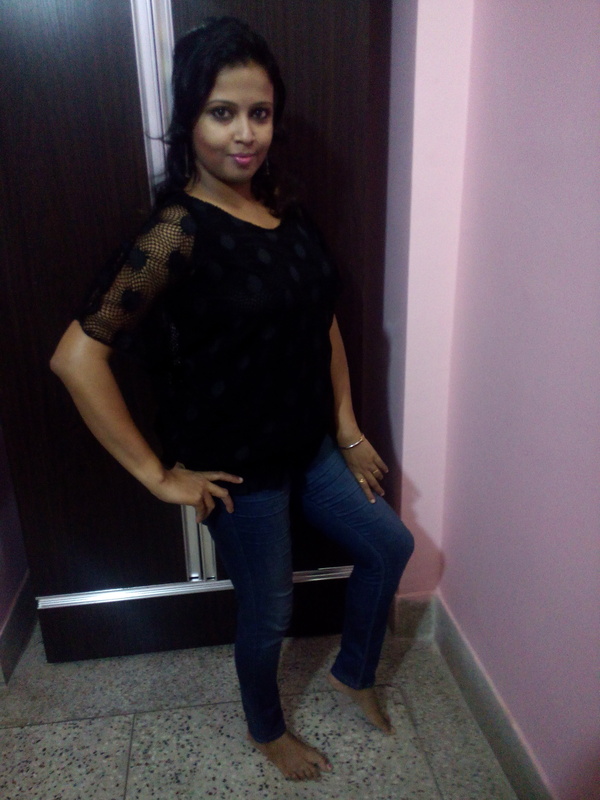 If you are a working lady then jeans are ideal for day to day use. Tug in your white shirt with a black shrug to get that perfect corporate look. If you want you can use a stole also. 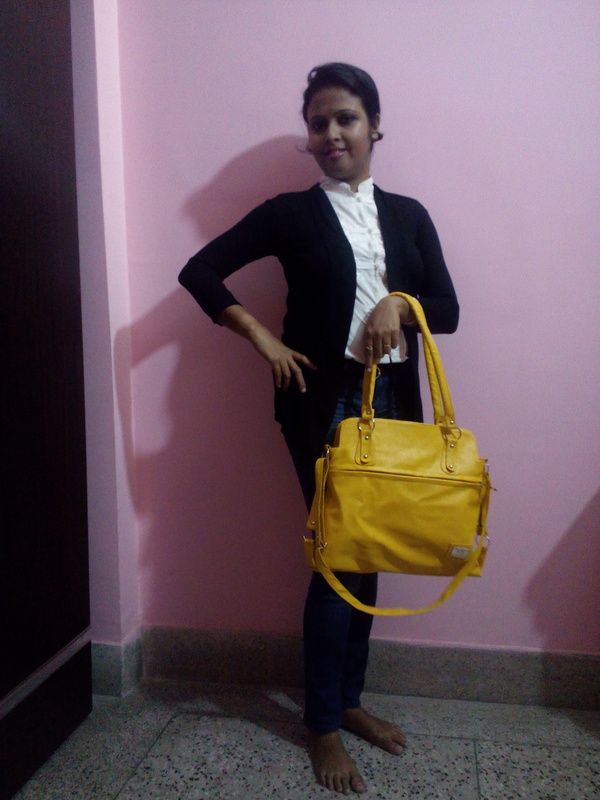 I have done my hair styling with a simple bun and I think that yellow bag is good to go with that black and white look. 5. 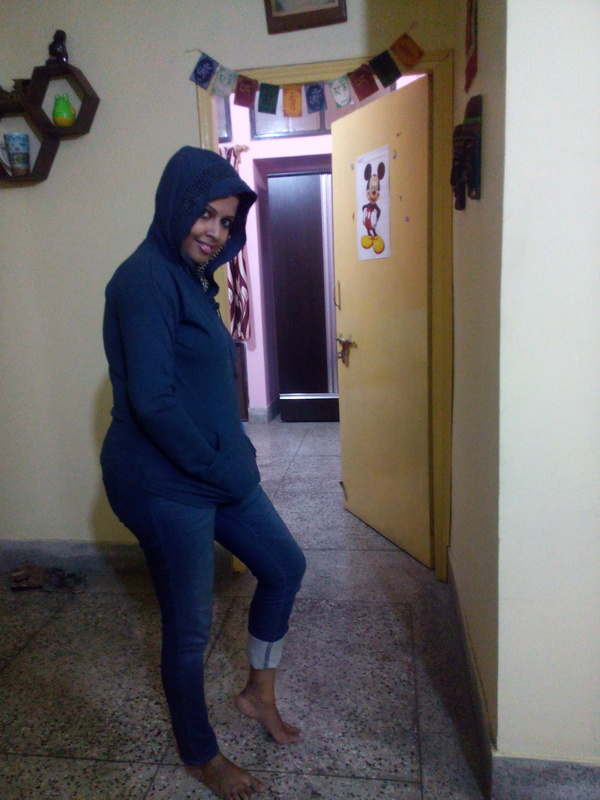 Winter Special: This is Winter time and I always prefer jeans during Winter. It protects you from the cool air and gives you a warm feeling. 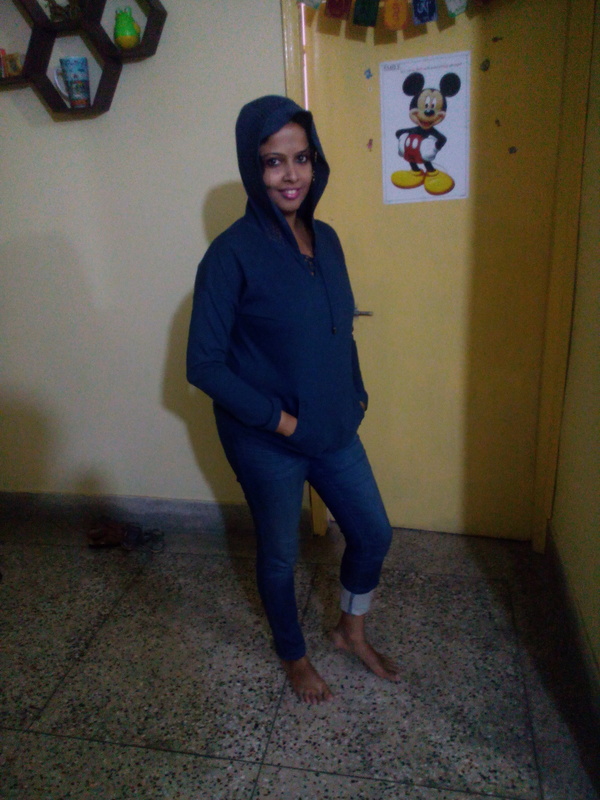 Wear a hoodie with the jeans and complete your look. Hope these 5 looks help you to get a new look every time. If you wear a skin fit denim then a short micro skirt you can also wear on this. Sayeri, very good and useful blogs. @kundan Da image e Tomar touch lagbe. Thanks Indra, I need a DSLR immediately 🙁 It was an urgent post so Kundan k diteo parinii for editing.